The view ahead for the aerospace and defense industry shows us growth and change. Air traffic has been following a pattern of steady increase that calls for larger aircraft fleets. At the same time, OEMs and suppliers are under mounting pressure to simplify processes, reduce costs and move products to market more quickly – while remaining in compliance with changing environmental regulations. 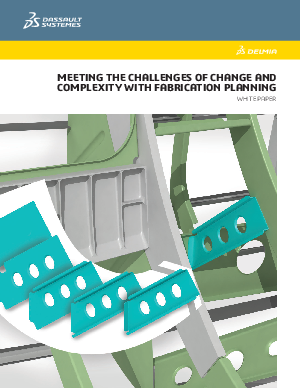 Download this white paper to find out how the unique capabilities of DELMIA make it possible to manage change along the value stream, from engineering design to shop-floor work instructions.